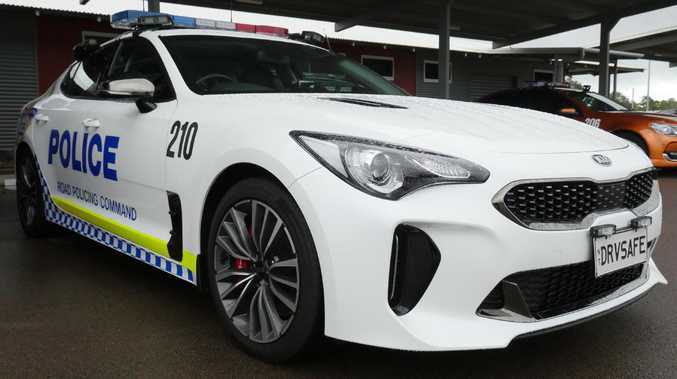 THE Northern Territory highway patrol has split with southern states and selected the Kia Stinger as its new highway patrol car. The Territory joins Western Australia, Queensland in ordering the sports sedan, which costs less than $50,000. NSW and Victoria meanwhile plumped for luxury BMW 530d sedans which retail for more than $120,000. NSW Police have declined to reveal how much they paid for the cars. 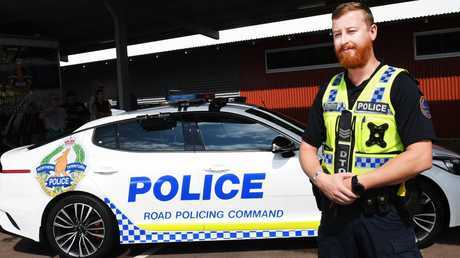 Trumpeting its partnership with highway patrol in Darwin, Katherine and Alice Springs, the Korean manufacturer took a swipe at "ingrained prejudice" in fleets which have traditionally favoured the locally-built Holden Commodore and Ford Falcon. Kia Australia chief operating officer Damien Meredith said the Stinger is proving increasingly popular with police. "It is extremely pleasing that once again a state government has had the vision to look past ingrained prejudices and give a stamp of approval to the best available option," he said. "The Stinger is not only an outstanding performance vehicle but is backed by Kia's industry-leading ownership experience, whether that be for private, government or fleet buyers." Kia spokesman Kevin Hepworth said Mr Meredith's "prejudice" comments were not a stab at NSW or Victoria Police. "Traditionally some manufacturers have been cut out because the governments have had a policy of buying Australian made," he said. "This is a pleasant change to previous considerations." But Hepworth admits the growing brand is "still fighting brand prejudice", both in private and fleet sales. "It always has been there," he said. "It's pleasing to see them look past the badge." The twin-turbocharged V6 Stinger will replace Australian-built, V8-powered Holden Commodore SS models in the Northern Territory's highway patrol fleet. As with the Commodore, the Stinger is a powerful, rear-wheel-drive sedan available for a sharp price - $49,990 plus on-road costs. Other states have committed to different options for pursuit vehicles - South Australia backed the Europe-sourced ZB Commodore, Victoria commissioned BMW's 530d luxury limousine, and NSW fields a mix of the BMW and Chrysler's V8-powered 300 SRT. The NT Police's road unit will be getting a new fleet of patrol cars. Picture: Katrina Bridgeford. Kia is quite proud of its ties to police. The brand took a fully operational Queensland Police Stinger to major American car shows in Las Vegas and Los Angeles in 2018. Capable of reaching 100km/h in 4.9 seconds, the 272kW Stinger matches the performance of 6.2-litre V8 models. NT Police Commander Matt Hollamby said the Stinger passed trials in the outback. "Holdens and Fords have been standard road policing vehicles in the NT for the best part of 50 years but now that they are not manufactured, it's time for us to look at an alternative," he said. "We needed a car capable of operating at reasonably high speeds in temperatures of 45 degrees in the shade without missing a beat. "The Stinger showed itself to be that car."